We had a special visit from this handsome boy! 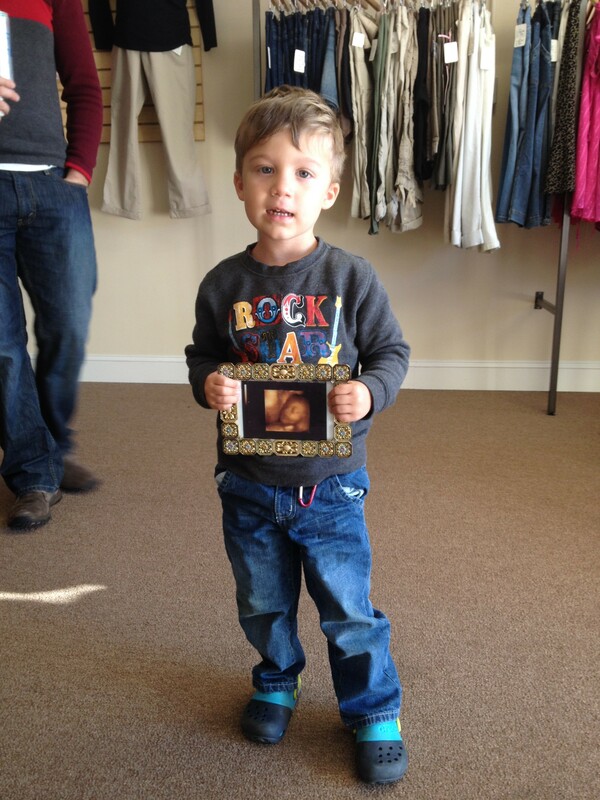 As you can see he is holding his ultrasound picture that was taken by us four years ago!! Mrs. Amanda remembers that she too was pregnant at the time with her son Cameron! We were so blessed to meet him and not to mention, his beautiful momma is awaiting her second child!! It is the special visits from returning clients that warm our hearts the most. So honored to be a part of such an amazing family!! Have you had an ultrasound with us and your baby has since been born? If so we would love to honor you and your precious child on our page! So come visit us anytime during our normal working hours!! Until next time, always be blessed! There’s my sweet boy! So glad he came to visit. This Nonna is excited for the arrival of his new baby brother!